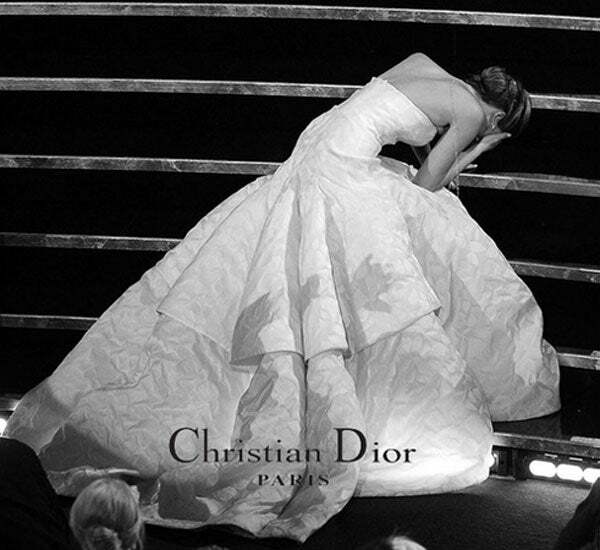 In what seemed like seconds, the meme-makers of the internet had a field day with Jennifer Lawrence's now-notorious tumble at the Oscars. Some of the memes, we admit, are hilarious ("Climb trees, can't climb stairs," and the weeping-princess comparisons, for example), while others were down-right mean. But, considering the Best Actress winner is also a fashion-industry favorite, it was only a matter of time before the emotional moment got the sartorial treatment.